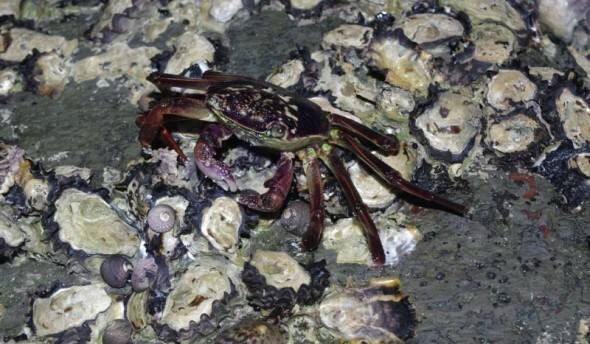 Te Papa vertebrate curator Dr Colin Miskelly recently spent 12 days on Ohinau Island (east of Whitianga, Coromandel Peninsula) as part of a Te Papa seabird research team. This blog reports on some of the more impressive invertebrate species that he found on the island. Ohinau is a 43 ha forested island owned by Ngati Hei, and lying about 7 km south of other islands in the Mercury Island group. The island formerly held populations of Pacific rats (kiore), mice and rabbits, but has been free of introduced mammals since these were eradicated by Ngati Hei and the Department of Conservation (DOC) in 2005. The forest is low in stature and diversity, with canopy species including mahoe, mapou, karaka and pohutukawa. The island was very dry during our visit, and it is likely that some species (e.g. 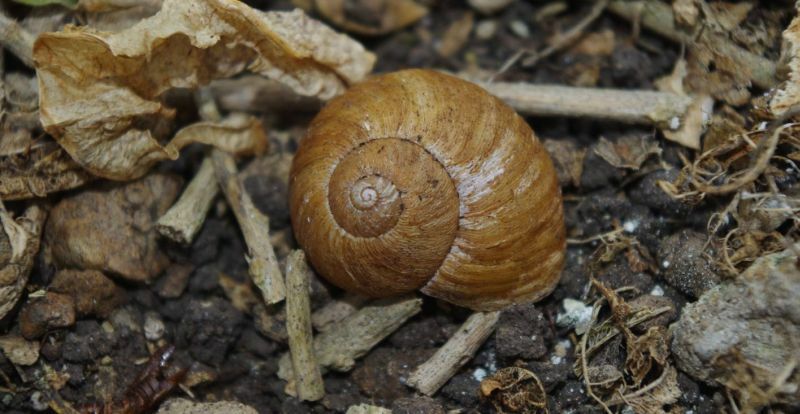 Rhytida snails) were staying in retreats deep underground. 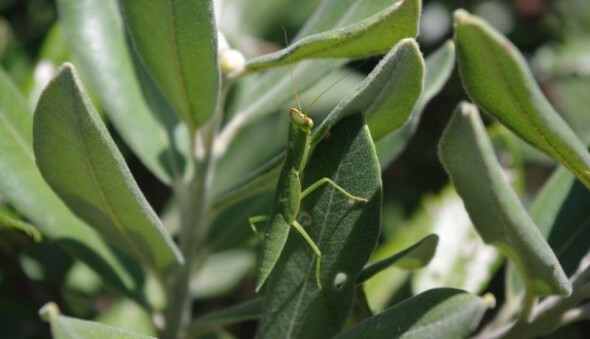 Among the larger insects on the main island, clapping cicadas (Amphisalta cingulata) and variable cicadas (Kikihia muta) were common, and we found a single New Zealand praying mantis (Orthodera novaezealandiae). 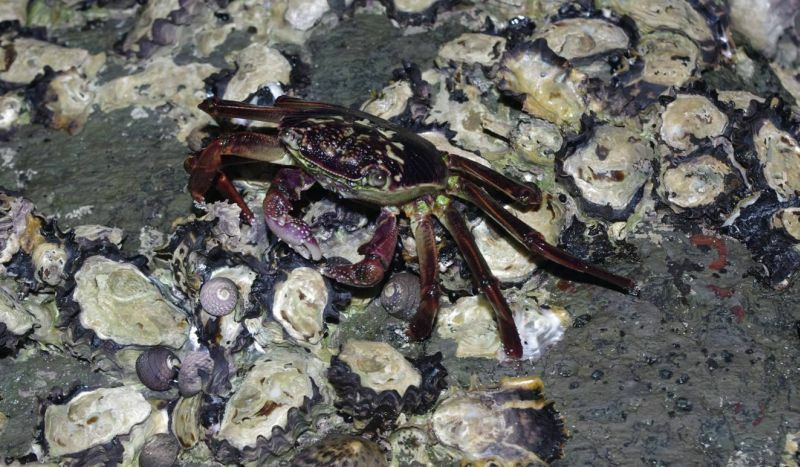 The most conspicuous large invertebrates on Ohinau Island were purple rock crabs (Leptograpsus variegatus), which were abundant all around the rocky shoreline. 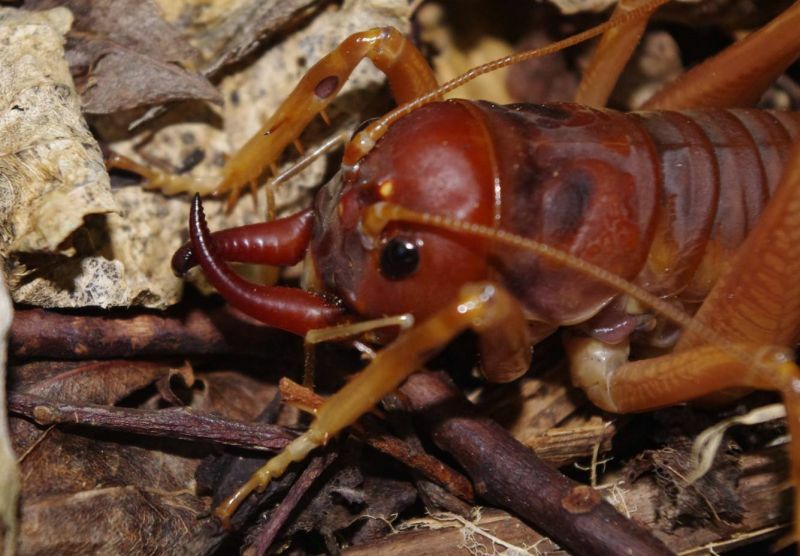 However, the rock stars among the invertebrates on Ohinau Island were the Mercury Island tusked weta (Motuweta isolata). This rare species was discovered on 13 ha Middle Island (Mercury Islands) in 1970, and named in 1997. Following eradications of Pacific rats on nearby islands, they were translocated to six other islands (Red Mercury, Double, Korapuki, Stanley, Ohinau and Cuvier Islands) between 2000 and 2008. 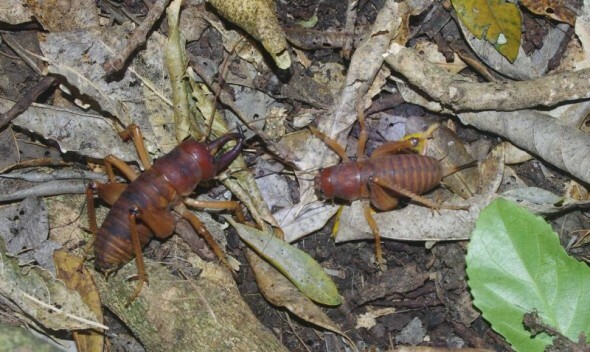 One hundred tusked weta were released on Ohinau Island in November 2007. They are thriving there, and we found about 20 adults during an evening of searching. Only the adult males have the elephant-like tusks, which are used to fight other males for access to mates. The tusks are also used to stridulate (create sound), by rubbing ridged sections together. The Mercury Island tusked weta is the only animal species that has been translocated to Ohinau Island following eradication of Pacific rats, mice and rabbits. With thanks to Ngati Hei for permission to visit Ohinau, and DOC for logistic support. 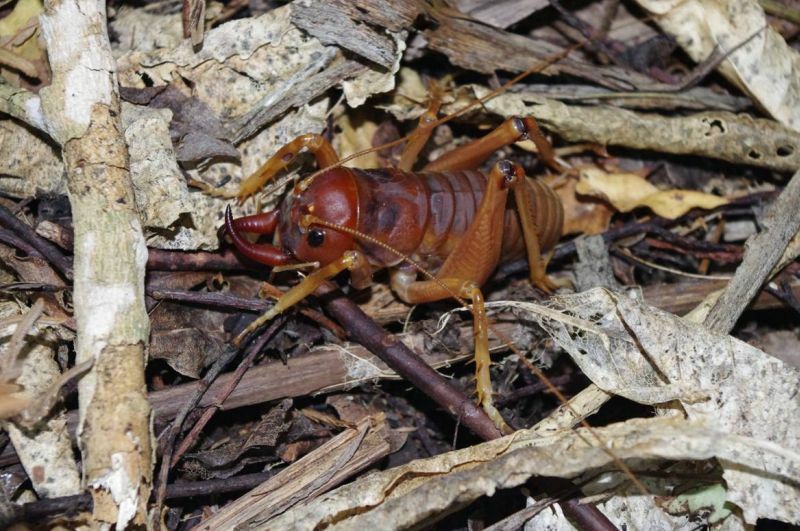 Rob Chappell and Chris Green (DOC) provided information on mice and tusked weta, and Bruce Marshall (Te Papa) and Fred Brook advised on the distribution of Rhytida greenwoodi.